PEI's culinary scene is centred on locally sourced meat, seafood and produce. You can dine on just-caught lobster with newly picked garden greens in an upscale bistro or chow down on a steaming bowlful of mussels in a casual family restaurant. Popular food festivals include the Prince Edward Island International Shellfish Festival (September), featuring oyster-shucking contests, cooking demonstrations and live music. Also in September, the Fall Flavours Festival celebrates PEI's culinary traditions with a month of foodie events. • Shellfish (lobster, in particular) is a mainstay of the dinner table. Lobsters are steamed or boiled and included in casseroles or chowder and salads. • Oysters are popular and may be served with tangy sauce, deep-fried, in pies, scalloped, or in soufflés, soups and stews. 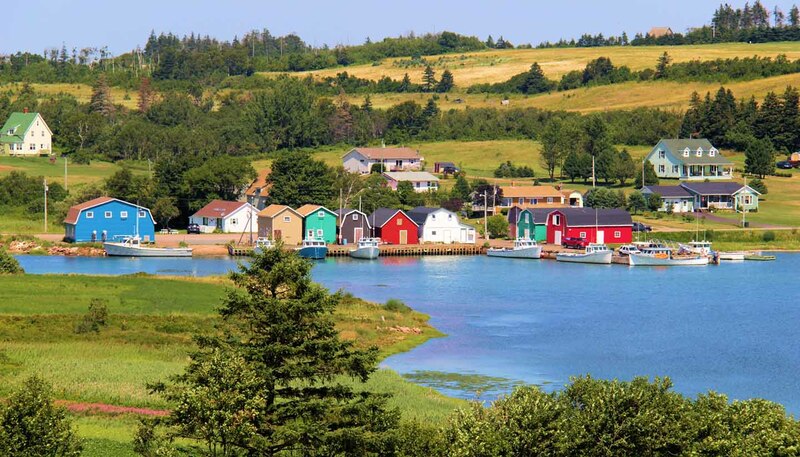 • Prince Edward Island is famous for its new potatoes (small, round potatoes). A favourite with locals are new potatoes boiled in their skins, then mashed and served with lots of butter, salt and pepper. • Fish cakes made with salt cod and potatoes. Most restaurants are licensed to sell alcohol. You can buy beer, wine and spirits at provincially run liquor stores as well as in liquor agencies. Hours vary but are usually longer in summer. Some are closed on Sundays. PEI is home to a clutch of vineyards and distilleries. The province's wineries produce a mix of traditional and fruit wines, and most offer tours and tastings. For something stronger, you can sip handcrafted gin and pastis or try a swig of wild blueberry vodka, made from local potatoes. The island also has a burgeoning craft beer industry, with small-scale breweries creating an ever-growing selection of inventive ales.